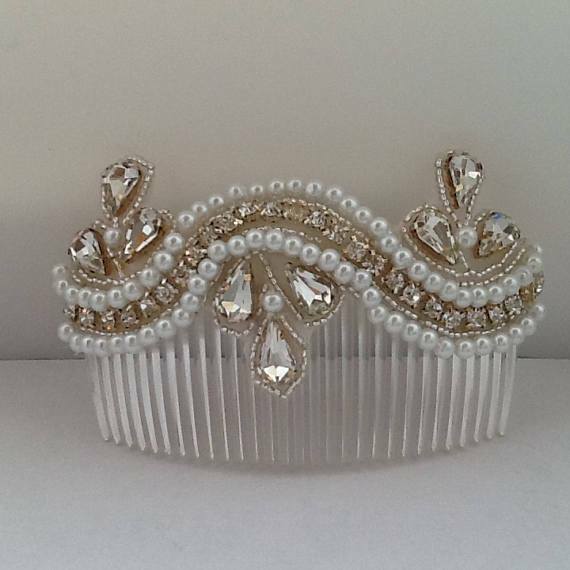 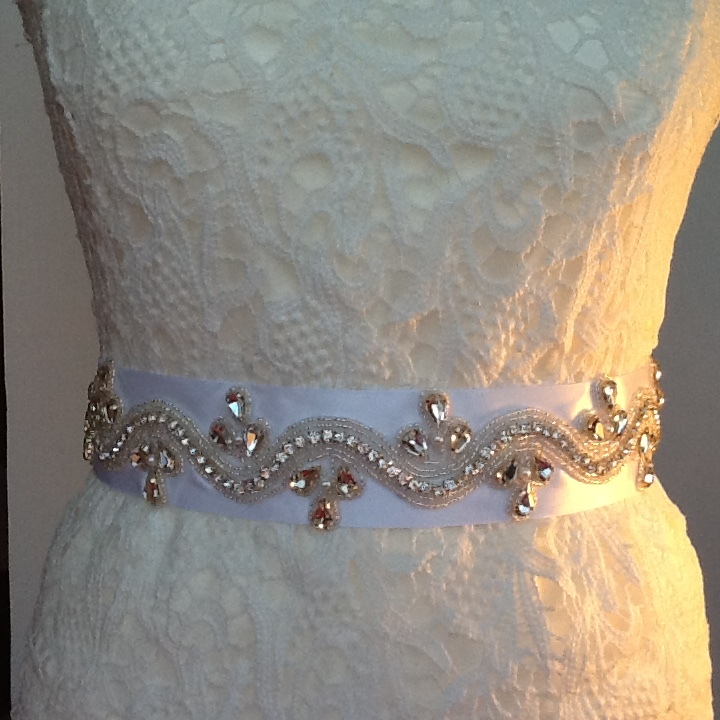 Home / Weddings / Wedding Accessories / WEDDING DRESS BELT WITH MATCHING HAIR COMB. 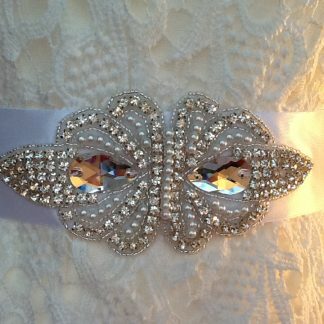 Wedding Belt with matching Hair Comb. 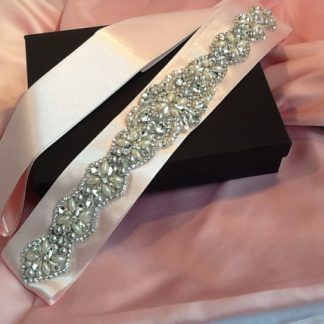 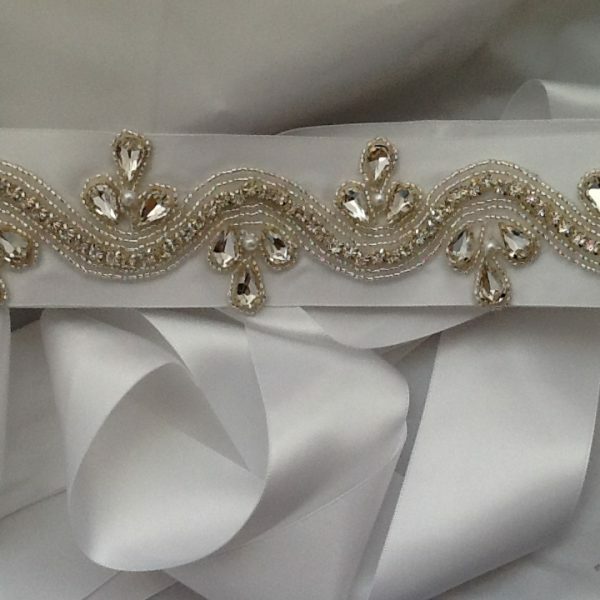 New wedding belt sash handmade . 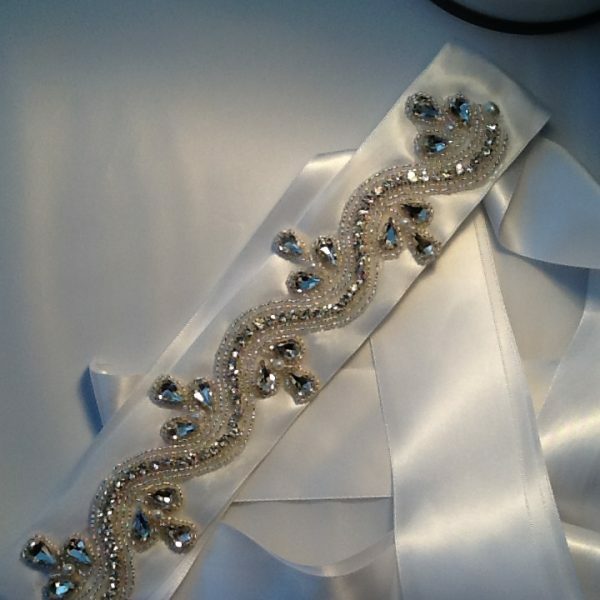 Beautiful applique decorated with silver seed beads quality rhinestones and white glass beads. 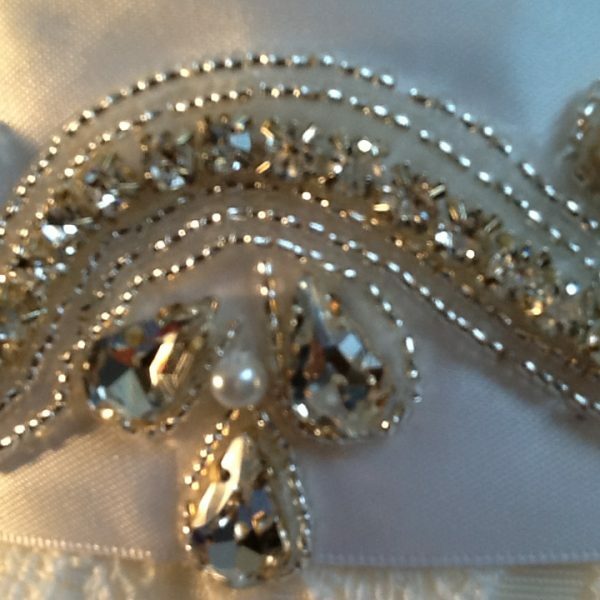 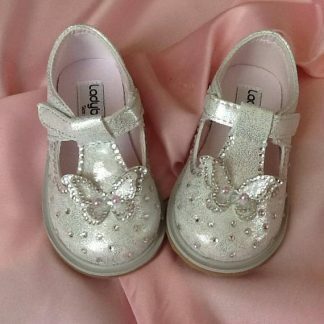 The applique is attached to a white quality double sided satin ribbon that is manufactured in the uk.